Owner: BVH Integrated Services, P.C. 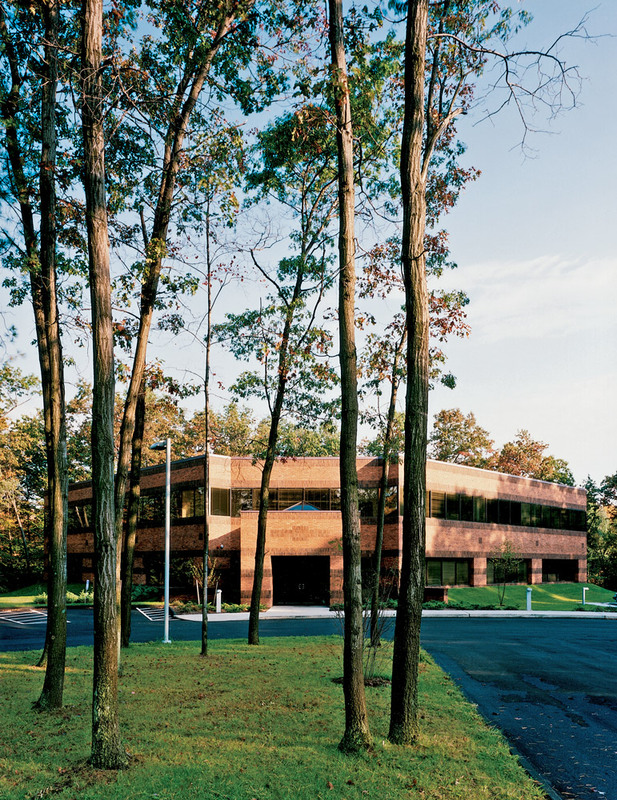 This 28,000 square foot office headquarters for one of the area’s largest engineering firms is designed to represent that firm's philosophy of providing creative, economical and no-nonsense professional services to its clients. Our design takes all of these characteristics and merges them into a building that has creatively sculpted a simple form into an aesthetically pleasing yet economical office environment. The building, which is essentially a square, is rotated 45 degrees on the site to allow unobstructed views into a heavily treed site from all four sides. The front corner has been cut back to allow for the creation of a single story clearly recognizable entry element. This variation in the entrance location allows for greater flexibility and adds visual interest to the interior layout.